Eat Green on St Patrick's Day! Top Five Recipes. Green foods are some of the healthiest around - they are also quite tasty! Green veggies and leafy greens have a wonderful grassy, salty, sweet, savory flavor to them. I remember in college I used to crave greens and would find myself eating baby spinach leaves right out of the bag around lunchtime. Kinda like chips! I guess I had already retrained my palate to crave healthy foods by then. 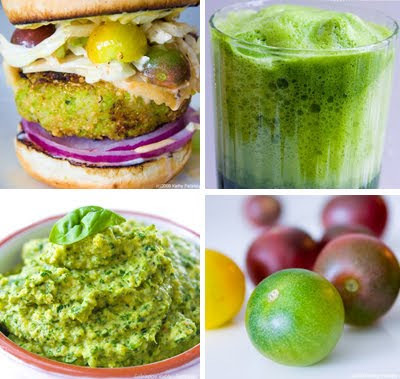 Here are my five fave green recipes. This was very hard to narrow down..